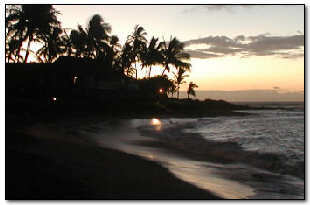 More photographs of Kiahuna Plantation Resort. You can stroll along the beach in the cool morning air, observing the little holes dotting the water's edge, the work of little sand crabs as they hide before the sun colors the eastern sky. 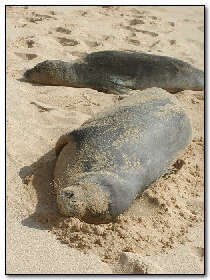 You may be lucky enough to see some of the endangered monk seals who lounge on the Poipu beaches by day. Soaking up the warm Kauai sun seems to be a pleasure not just reseved for us humans. 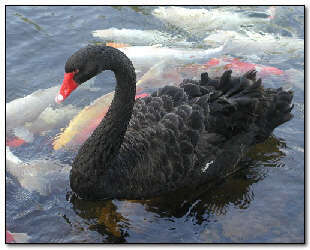 A beautiful black swan seems unaffected by the koi tickling his feet. 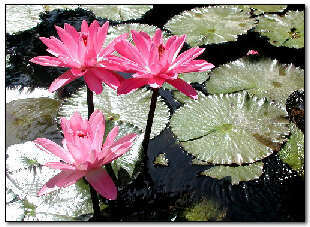 Water lilies abound in the ponds around the historic Moir home, now the Plantation Gardens Restaurant. 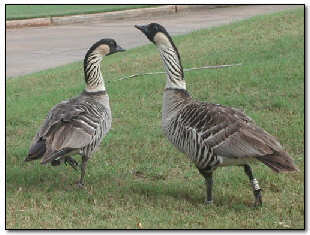 Once down to a few dozen, the striking Hawaiian Nene Goose almost went extinct. Thanks to a captive breeding program they are now back in the islands in healthy numbers.